Now right there are some words which would no doubt resonate with the bored dieter. Except this isn't a diet. 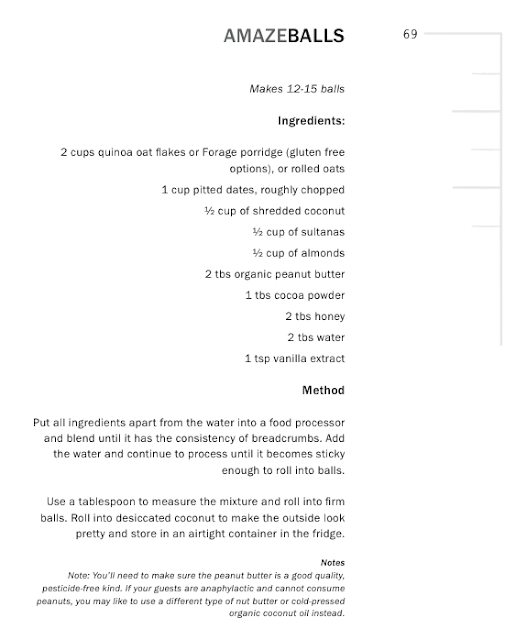 In the new book 'Eat Fat Be Thin' by Andi Lew and Natalie Kringoudis, the duo present sugar free, dairy free, and wheat free recipes. 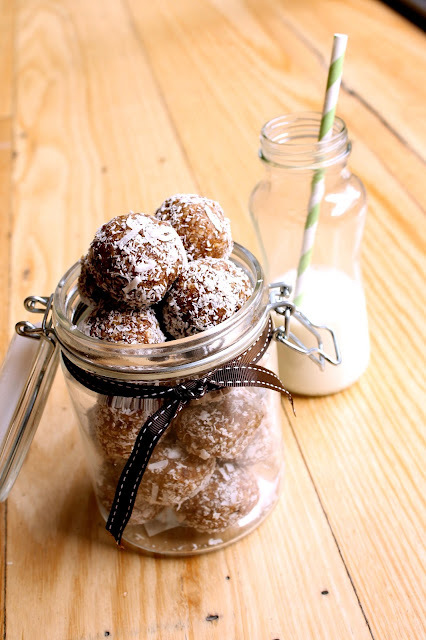 And it includes this fab recipes fabulously called 'Amazeballs'. Yum. "Without putting words or cake in your mouth, repeat after us, “You CAN HAVE your cake and eat it too!” ‘Eat Fat Be Thin’ shows you how! In fact, News Flash: Good Fats help you to lose weight! “We are often asked how do we stay thin, what do we eat and why are we cooking and eating cakes all the time? Andi and Natalie take us on a journey of sharing their favourite desserts which are not only delicious but are guilt free and actually good for you! Andi Lew is an advocate for natural health, inspiring patients at the wellness centre she owns with husband Dr Warren Sipser, toward optimal health. She’s an accomplished Australian TV presenter, published author, certified infant massage instructor, qualified chiropractic assistant and co–author of ‘7 Things Your Doctor Forgot to Tell You’ and author of ‘The Modern Day Mother’. Natalie Kringoudis is passionate about holistic and natural living; which led her to follow her career path as a Doctor of Chinese Medicine and Acupuncturist. Natalie established her fertility and wellness clinic, The Pagoda Tree as she recognised the need for clients to access holistic health care within a supportive environment. Natalie has supported hundreds of patients both locally and across Australia. Now specialising in fertility, she combines both western and eastern treatments to achieve the best outcome and be at the front of the fertility field. She is a registered practitioner of The Traditional Chinese Medicine Board and author of ‘Fertilise Yourself’. Dr Damian Kristof was asked to write the foreword for ‘Eat Fat, Be Thin’ because it is in line with his philosophy and how he cares for his patients. "Getting the skinny on fat has never been so easy. Good fats, bad fats, not getting fat; it’s all wrapped up tight in this snack size myth buster. Andi and Nat have done a great job! ", says Dr Kristof, who is also a TV presenter of New Zealand's 'Downsize Me' and naturopath, nutritionist and chiropractor. Do you know much about chia seeds? I have been adding these babies to my twins' muffins for years now, and they are none the wiser, though the benefits are huge. Andi Lew and Dr Natalie Kringoudis have joined forces in couture cookery because they are both health professionals looking after and inspiring women of all ages to be healthy and stay thin. They says their fans and followers have been waiting for this information on how to eat really well by including ‘good’ fats in their diet that actually help you to lose weight. 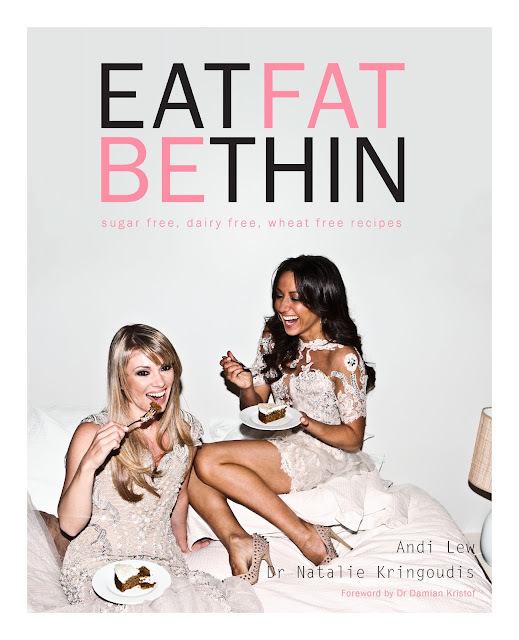 Eat Fat, Be Thin – available in book stores now - RRP $24.95 E-book $12.95.